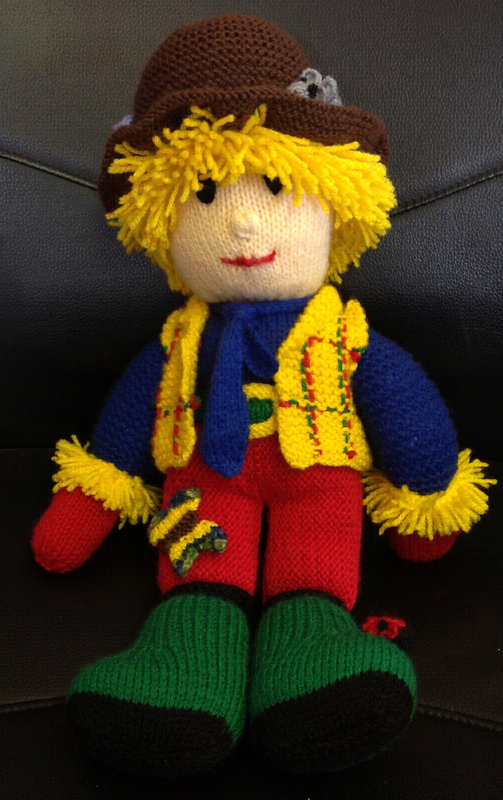 Dolls and soft toys are often used in dementia care units to comfort residents and help them feel safe and at home but one charity, Reminiscence Learning, has taken this further with Archie the knitted scarecrow who is used both to help patients and to educate school children about dementia. The charity uses the story of Archie the Scarecrow who loses his colour to help children understand how dementia sufferers can lose touch with the world. As the programme grows more and more Archies are used in schools and in care homes where the dolls have proved popular with residents. Each doll is dressed in bright colours, specifically red and yellow which are the colours elderly people see most easily. Please stick to the colours as set. The charity would also welcome mini-Archies – if anyone fancies adapting the pattern or creating a crochet version please let us know. Archie looks great as some Dementia suffers need a companion Archie looks great.